The smaller players in Alberta's oil economy — still battered by the bust — are expressing relief and guarded optimism at Ottawa's plan to purchase the Trans Mountain pipeline. The federal government announced Tuesday it would purchase the pipeline and its associated assets — following a months-long political and court battle between Alberta and B.C. which included a wine ban and a threat to cut oil shipments to the west coast altogether. 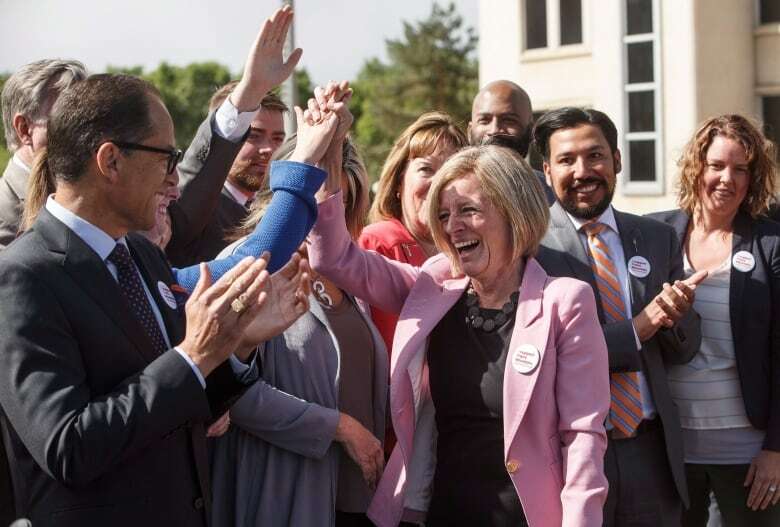 While Premier Rachel Notley celebrated the purchase triumphantly, in south Edmonton among the city's blue-collar workers, the response is more measured. "It definitely instills confidence in the oil and gas sector, that's for sure," said Paul Chissell, president of Wynn Machine and Manufacturing, an Edmonton-based company that makes products for well drilling and completion. The pipeline may not bring the industry back entirely, but the federal buy-in could help turn business around, Chissell said. It's been a rough ride since the last big bust and operators are desperate for good news. "It's been a disaster, basically," Chissell said. "We used to have 23 people working here and now we have 11. "That's a direct result of not developing oil and selling our raw resources that we have in Canada." Chissell works in an industrial park off 99th Street between Argyll Road and Whitemud Drive. Calvin Shulhan is the general manager at a nearby company called D-Valves which fabricates and repairs parts for oil rigs. When the recession hit, many smaller operations like his were still suffering financially from the previous recession — and were ill-equipped to withstand the steep decline in oil prices. Unlike the big players, their margins are small and the downturn was fast and brutal. In Shulhan's shop, lean times have forced them to thin out their operations. The company workforce has shrunk considerably. "In the last boom we had at least 30 employees here at one time and the last couple summers we were down to nine, and work-sharing." Across the industrial park is Adriaan Light, president of Vengeance Oilfield Products which makes specialty pipe fittings. Light doesn't see Trans Mountain as a magic bullet for the industry, but believes it's a project that should have been brought online years ago. If Alberta fails to find new market access, the industry will continue to be plagued with investor uncertainty, he said. "We don't have nearly enough drilling activity, when you have 65 rigs running in Alberta. We should have 300. Something has to happen," Light said. "The oil kings have to get their product to market. It doesn't matter how much we drill if we have to store it." Cory Clark, operations manager at Canadian Downhole, an oilfield equipment supplier in Edmonton, agrees the project is critical for encouraging investment in the sector, he said. "We do all of our manufacturing, assembly and testing here. We want Alberta and Canada to be busier," Clark said. "Increased capacity of the pipeline will give us the opportunity to do more production and that will encourage investment. "It won't be a quick ramp up, but it's good to see there is something positive coming down the road."